Alicat PCR series of pressure controller maintain precise control in your absolute, gauge of differential pressure applications. Additionally they can be configured for either a vacuum pressure or back pressure control. PCR series maintain pressure stability and accuracy at high flow rates up to 3000 SLPM. 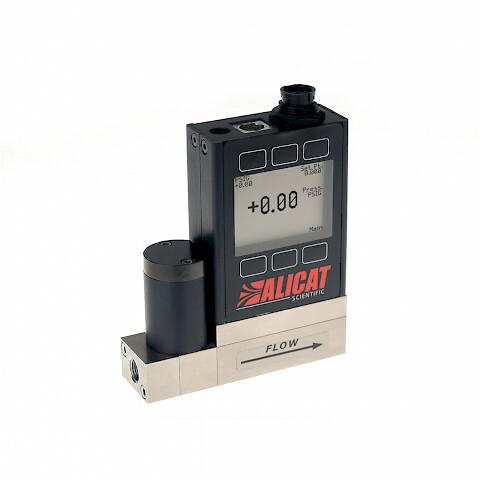 Alicat is the world’s only manufacturer of near-frictionless Rolamite valves for precise control of high-rate fluid flows. Proprietary orifice patterns enable us to customize a Rolamite to satisfy your application and performance requirements. The PCR series pressure controller is repeatable and accurate with calibrations up to +/- 0.125% of full scale accuracy. 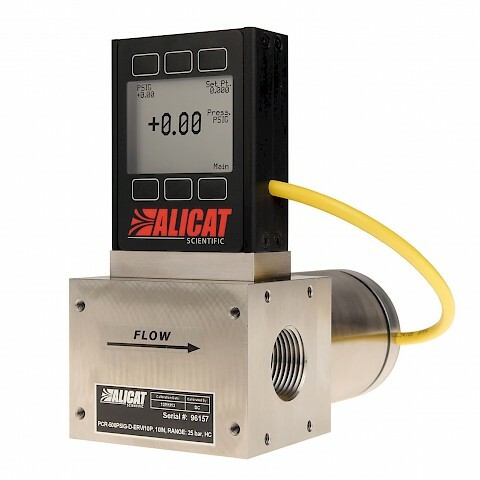 Every PCR series controller has a 3/4” NPT female connection and are typically suited to higher flow applications where the flow rates exceed 20 LPM. 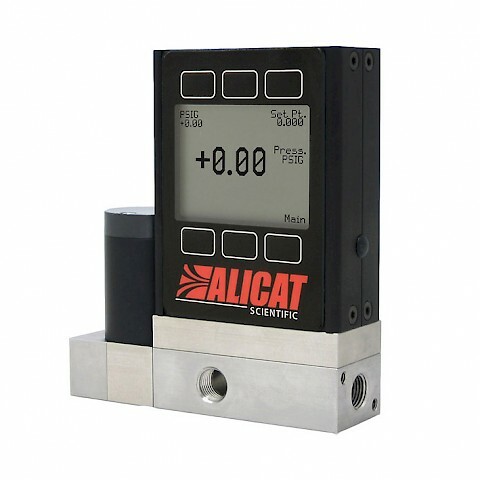 The digital pressure controller features a local LCD screen and push button user interface to change process variables. A colour TFT display is also an option to. RS-232 communications are standard as well as an analogue output signal such as 0 – 5 VDC. Modbus-RTU, available over RS-232 or RS-485 and PROFIBUS protocols are also availble. Every Alicat device is backed by the manufactures limited life time warranty and ships with a NIST traceable calibration certificate.